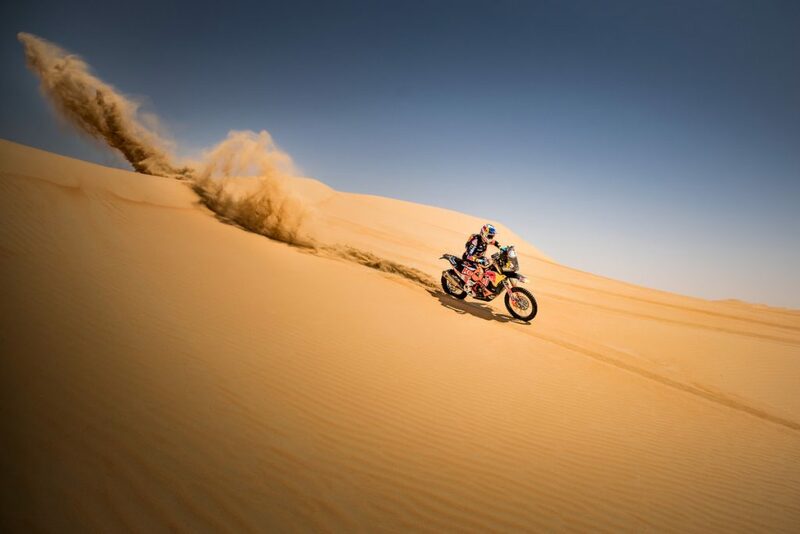 Sunderland, winner of the 2017 Dakar event, has bounced back from his back injury and enjoyed strong results all week aboard his KTM 450 RALLY machine, as did teammates Matthias Walkner and Toby Price who finished fourth and seventh overall with stage wins each in the unforgiving desert dunes. With some incredible landscapes and terrain, we are pleased to share with you some images from the event and our Red Bull KTM Factory Racing Team. Posted in Bikes, History When the KTM Motohall opens its doors after four years of planning, its three stories will give visitors the opportunity to experience the history of KTM first hand. The second story is dedicated to the development of KTM motorcycles, starting with the 1953 R 100 and KTM’s first engine all the way to the present day. For many years, KTM has been the biggest and brightest European motorcycle manufacturer, but that was not always the case. KTM has found itself in difficult times on several occasions throughout the history of the company, which spans six and a half decades. One such time was the European motorcycle crisis of the late 1950s. The post-war period of the early 1950s was defined by a desire for mobility. While owning a car was still out of reach for many people, a motorcycle was a much more affordable option. This was also the reason why KTM’s founder, Hans Trunkenpolz, decided to build a light motorcycle – the R 100 – alongside the industrial production of replacement vehicle parts. Given the conditions of the time, the R 100 was expected to sell well. Just one year later, a second model, the R 125, was produced and the 1000th KTM motorcycle rolled off the production line in 1954. The future was looking bright. 1956 saw the addition of three new models to the KTM range in the shape of the Grand Tourist, the small Tarzan sports bike, and the Mirabell scooter. At the International Six Days Enduro in Garmisch-Partenkirchen, four of the then six-person Austrian Trophy Team rode KTM motorcycles. In the world of road racing, Erwin Lechner flew past all of his competitors on a 4-stroke Apfelbeck KTM. Just like in the motorbike industry of neighboring Germany, the crisis soon began to take hold at KTM, with sales slumping significantly in the late 1950s. The economic situation in post-war Europe had stabilized enough that many people could now afford a small car and the motorcycle quickly gained a reputation for being a “poor person’s vehicle”. It was the age of the microcar – the Goggomobil, the Messerschmitt Kabinenroller [Messerschmitt Cabin Scooter], and the Zündapp Janus, in which the passengers sat back to back, all became popular, despite how absurd they may seem to our modern eyes. The increasing popularity of cars drove many German motorcycle manufacturers into bankruptcy. A large order from the Austrian armed forces for a military version of the “Mustang” came as a huge relief for KTM and saved the company from a terrible fate, though the company’s motorsport activities had to be called off for cost reasons. While the Grand Tourist, Trophy, Tarzan, and Mustang motorcycles were nevertheless exhibited at the 1959 Vienna Spring Fair, it was already becoming clear that KTM would have to stop building motorcycles. The only new development on show was the redesigned Mecky moped with a Sachs engine, which was now a two-seater. This was a hint towards the future direction of KTM. Unlike in the motorcycle market, an increase in sales of 50 cc mopeds that did not need a driving license was expected. In 1959, KTM entered into a partnership with ZKW, a Viennese manufacturer of vehicle components, when ZKW took over KTM co-owner Ernst Kronreif’s stake in the company after his death, thus becoming the majority shareholder. This motivated the switch from engines made by Rotax and Sachs to engines made by their Austrian competitor, Puch, one of ZKW’s biggest customers and the leading player in the Austrian moped sector. Only export models continued to use Sachs engines. The first new model to be released after the crisis was the 1960 “Ponny moped”, a successor of the Mecky. With its distinctive twin headlamps, tail fin, and two-tone paint, the Ponny was the most elegant moped on the market at the time – it was practically a limousine on two wheels. However, for the youth of the day, the moped was not exciting enough, especially as it was advertised as a ladies moped. They longed for “sporty little machines” like the Tarzan from the 1950s, according to market research conducted by the Austrian dealers. For this reason, developing a new 50 cc moped that looked like a motorcycle became a top priority, in the hope that it would help the company gain back some ground from its main competitor, Puch. This was the push KTM needed to develop the Comet range, which went into series production in 1964 and was a huge hit right from the start. The Comet bikes, which were equipped as usual with Puch engines for the domestic market and with Sachs engines for export models, helped KTM to gain back a significant share of the market from Puch. With hindsight, taking the decision more than sixty years ago to stop producing motorcycles in favor of 50 cc models seems to have been a strategically wise thing to do. The redesigned Ponny II moped was sold until 1988 – it was certainly no one-trick pony. A variety of Comet moped and light motorcycle models were part of the KTM range until the 1980s. In the KTM Motohall visitors can experience the history of Europe’s biggest motorcycle manufacturer at first hand, starting with the R 100, the first KTM motorcycle from 1953, through the elegant mopeds and sporty 50 cc models of the 1960s and the successful Enduro and Motocross bikes, all the way to the present day. A special story is dedicated to the KTM Heroes, where visitors can see the KTM world championship-winning bikes and get to know the champions themselves, who can be seen in their original riding gear. There are plenty of reasons to visit the KTM Motohall in Mattighofen!